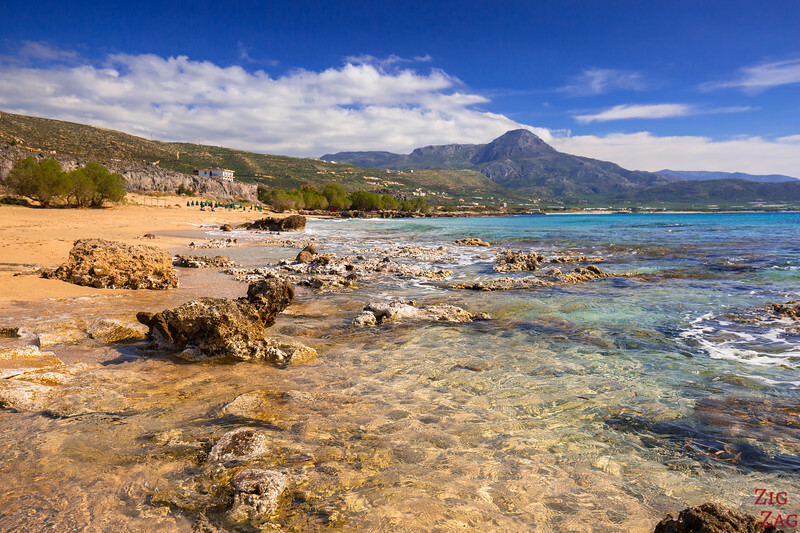 Located on the West Coast, Falassarna Beach Crete is one of the most famous beaches on the island. 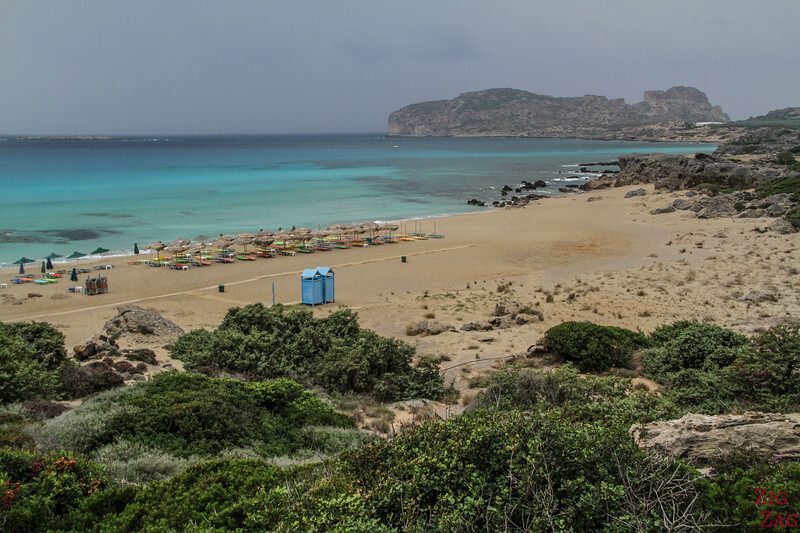 It large sandy area, turquoise water and charming rocky coves attract many visitors. 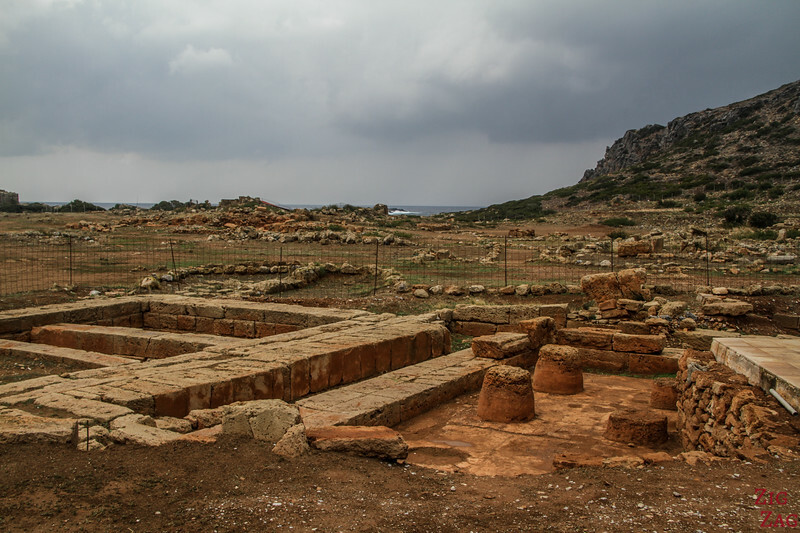 Below is my guide with photos to help you plan your visit to Phalasarna and learn more about its ancient city. 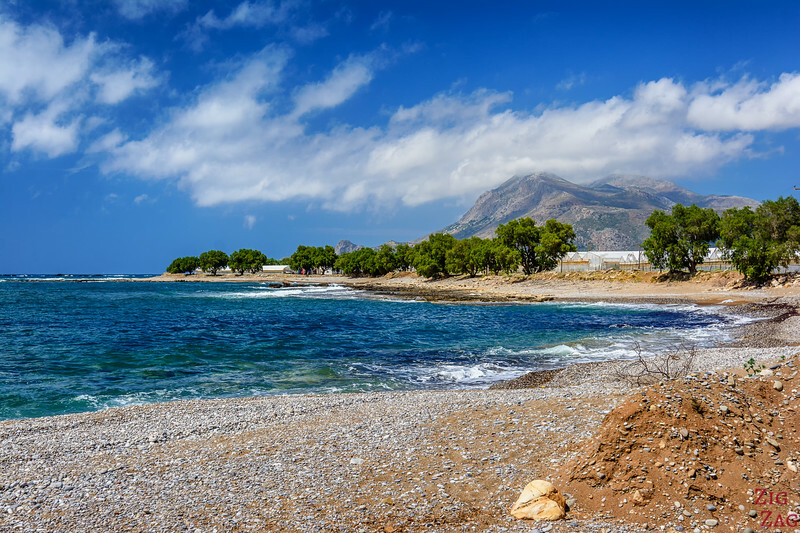 Why visit Falassarna beach in Crete? 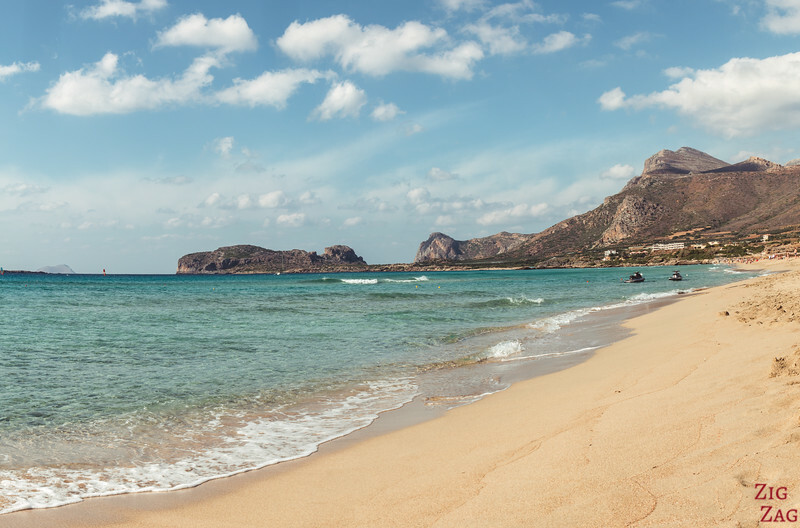 Falassarna beach (also written Falasarna and Phalasarna) is considered one of the best beaches in Crete. To be honest, I did not think it was the most beautiful, but it is a great combination of different factors. And it can please several members of the family looking for different criteria. 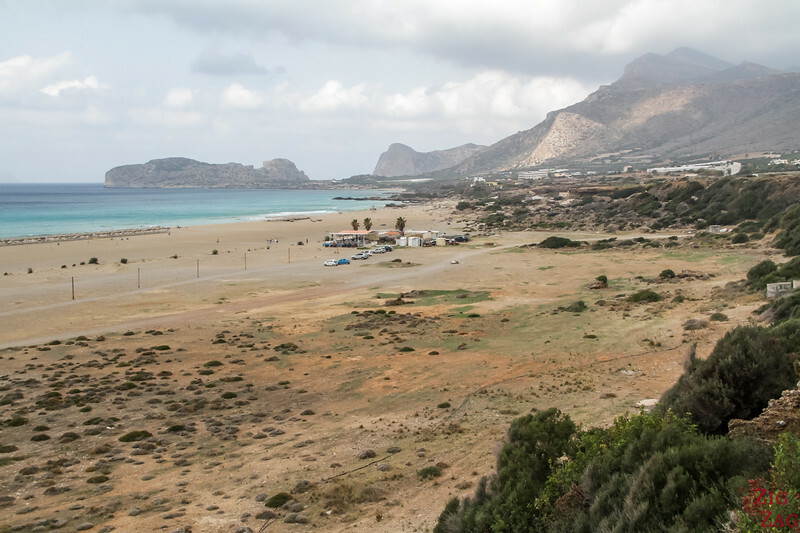 Once you turned in the village of Platanos, you start the drive down towards the beaches of Falassarna. From the road, you can see the whole area at the foot of the hills. On the day I did it, the weather was not on my side, but still the color of the water was striking. 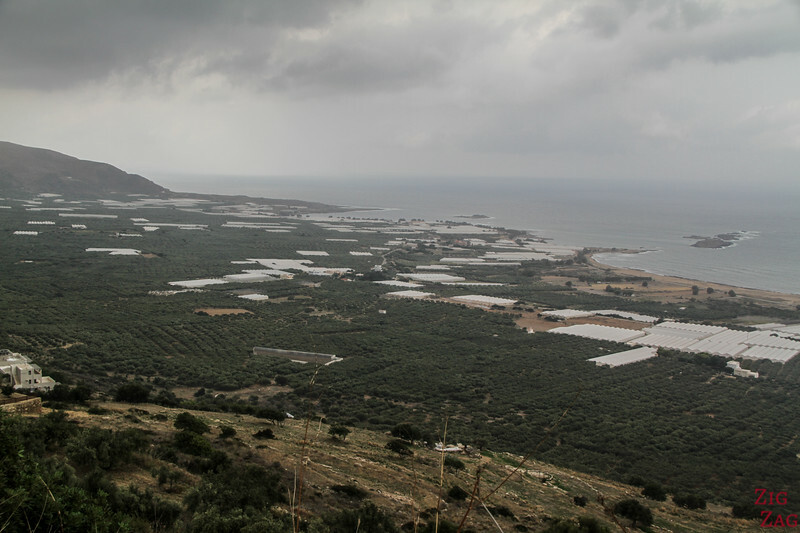 As you can see in the pictures above and below, the land is agricultural with olive trees and greenhouses. There are several cooperatives in the area. They grow mostly vegetables: greens and tomatoes. 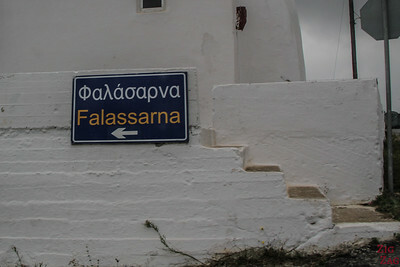 You will find several Falassarna carparks for the different beaches. Sometimes right on the beach like you can see in the picture below. Sometimes they are a little higher and there are stairs to get down to the beach. The smaller coves are left wild. However at the main beach you can find sunbeds and a beach bar (as you can see on the picture above). And if you walk just a little bit up the roads you can find many taverns with wonderful views of the bay and beaches. 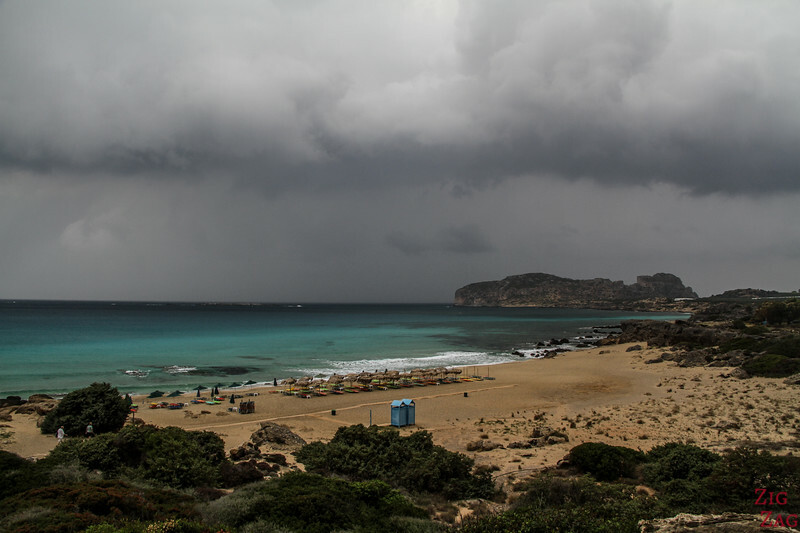 Falassarna is beautiful by any weather. 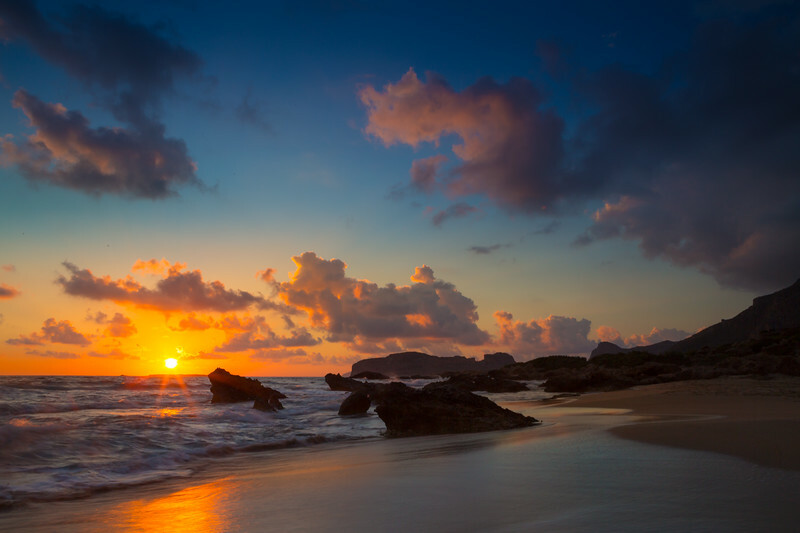 The sand is gold, the water is turquoise and it is surrounded by many many dark rocks which are great for photography. The 2 main beaches are sandy - they are 1km and 800m long. 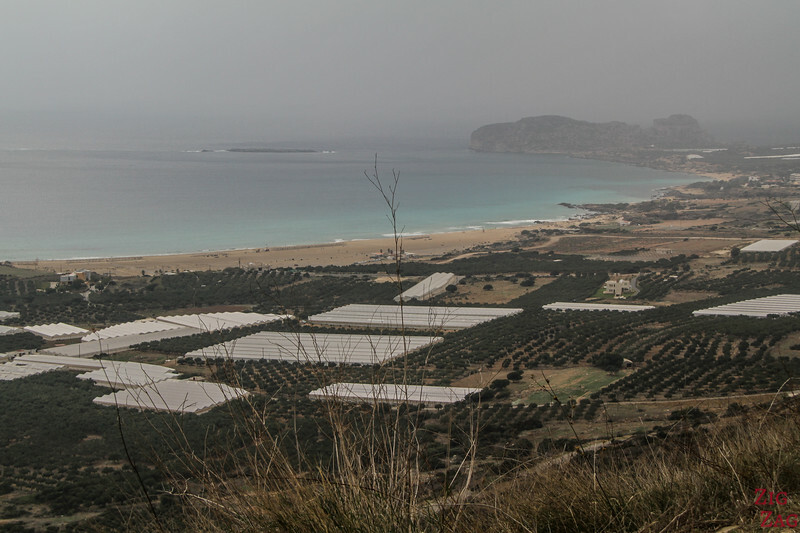 The main one is called Pachia Ammos (However this is also the name of a village in East Crete, so I don't recommend searching for it on the Internet, you will get confused). If you want to know what it looks like on a beautiful clearer day, below are a couple of pictures. 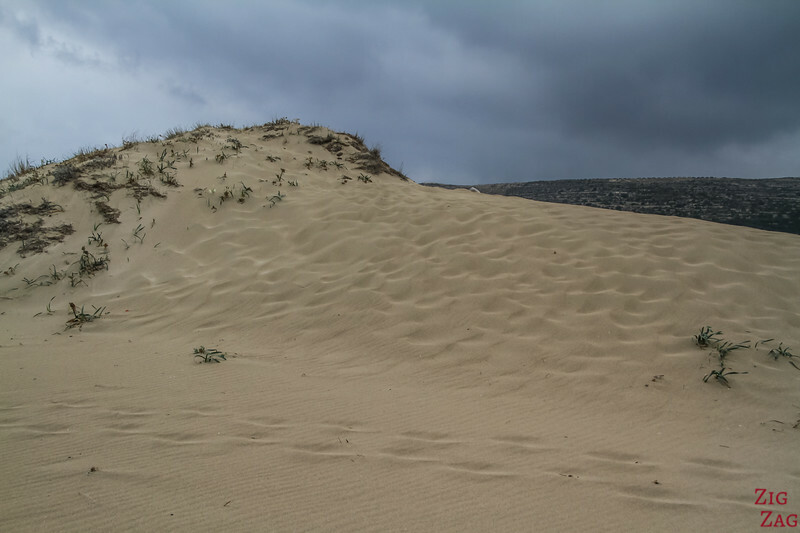 For those looking to have a little fun, you can find small sand dunes at the South end of the main beaches. Towards the South, like towards the North you will find pebble beaches. They are not as comfortable, but you will find a lot less people around those. 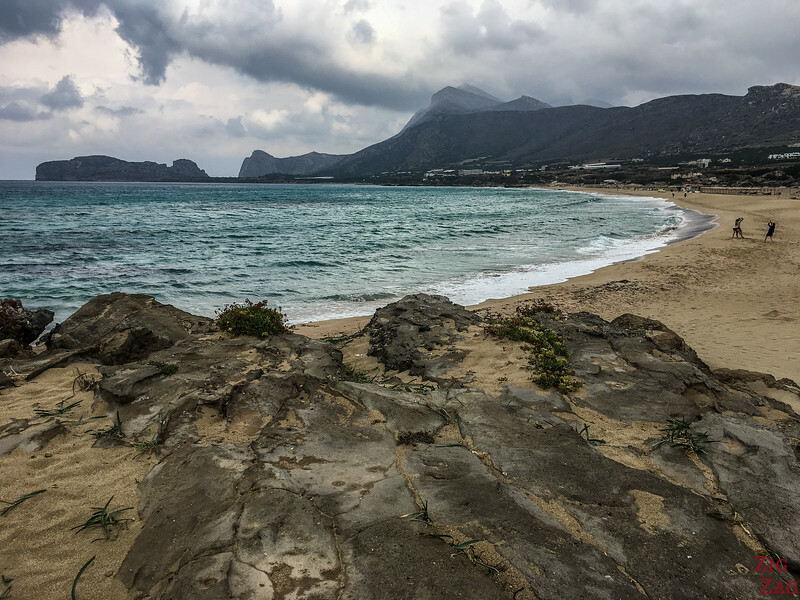 If you don't want to spend the whole time at the beach you can go check out the ruins of ancient Phalasarna. 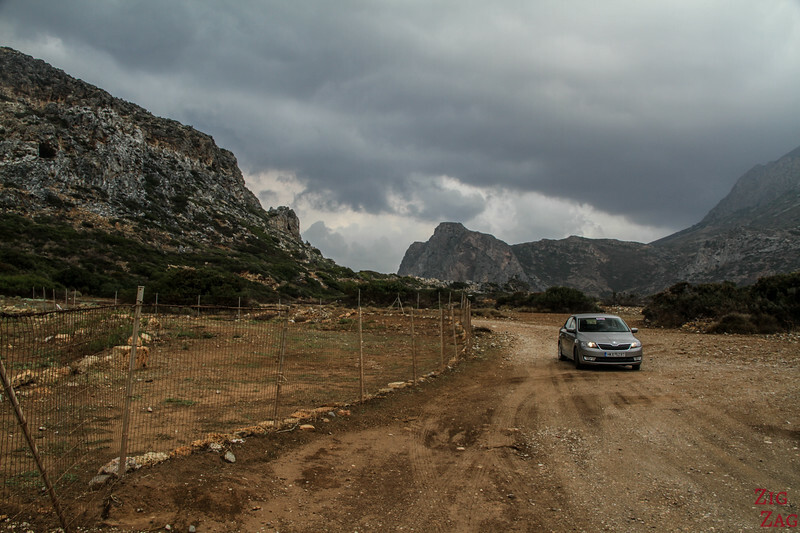 It is one of the not so famous historical sites of Crete. They are located at the North end of the beach. 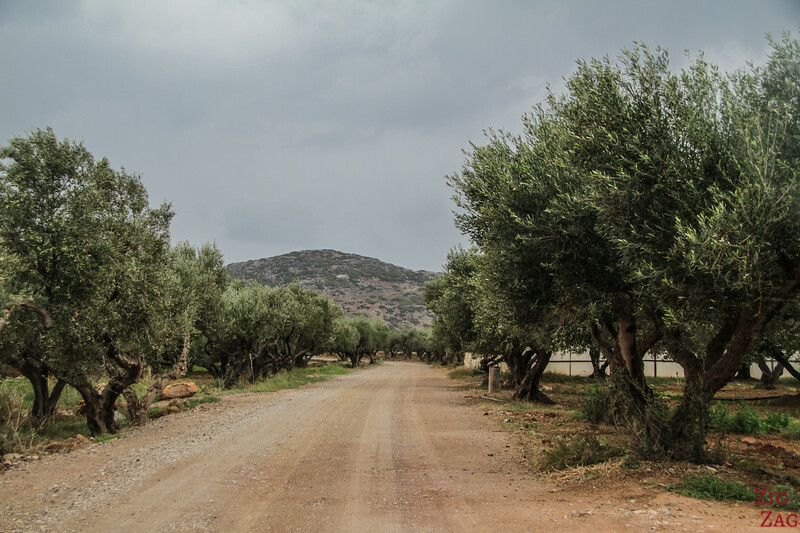 You can walk or drive the 2km of dirt road between olive trees. I quite enjoyed the drive. 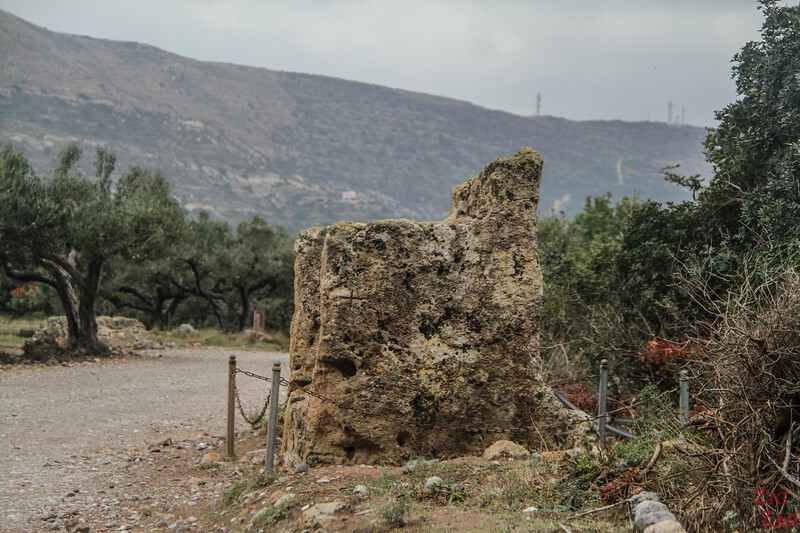 On the way to the site, don't miss the the 'Throne' of Phalasarna (I was too focused on the olive trees). It is thought to be dedicated to the Phoenician Goddess Astarte, who protected the sailors. 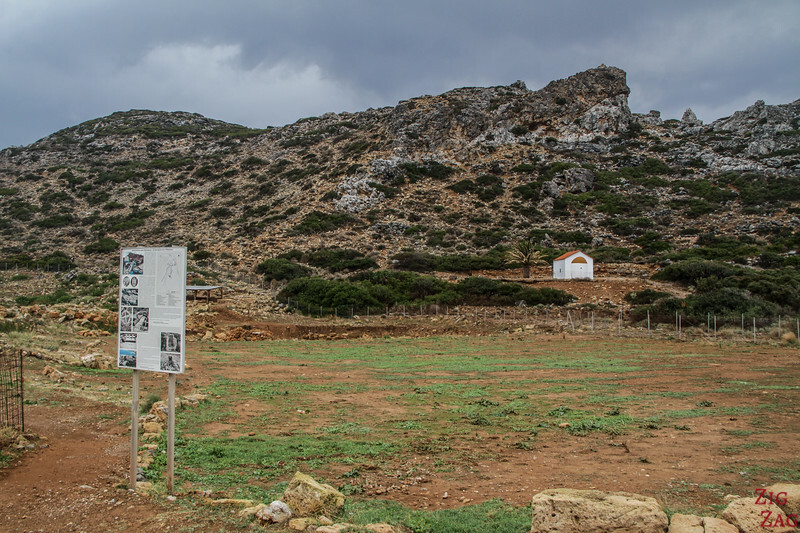 Then you reach a fenced area which is the archeological site of ancient Phalasarna. In the 4th century BC, it was a fortified city with huge walls ad military protection. Apparently a "closed harbor" had been carved out of the lagoon. It was a perfect location to control the sea routes between Italy and Africa. Therefore it was a significant trading place, especially with the Phoenicians. It seems that the Phalasarnians were famous warriors. Phalasarna was a city-state and they used silver and copper coins. Their temple was for worshiping the goddess Diktynna. 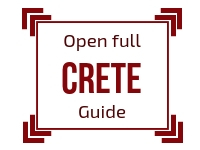 However, those famous warriors were often at wars with other city-states plus Crete suffered frequent earthquake. All of that triggered the downfall of Phalasarna. 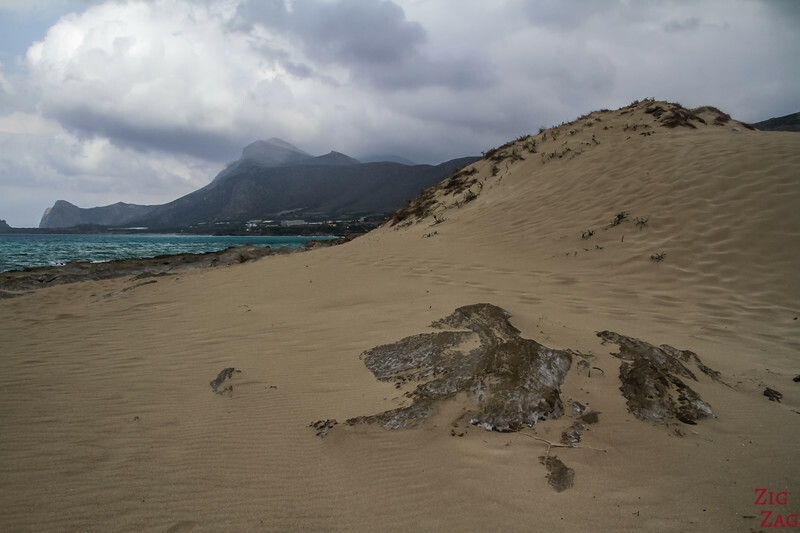 The inhabitants turned to piracy, and when Rome conquered Crete in 67BC, Phalasarna was destroyed. It further disappeared in the 365 AD earthquake and tsunami. Some excavations started in 1966, but research teams tool over only in 1986. You can tour the ruins Daily from 9am to 3pm except Mondays and weekends. Originally I was planning on spending an evening at Falassarna to enjoy the Sunset. It has a perfect orientation towards the West. 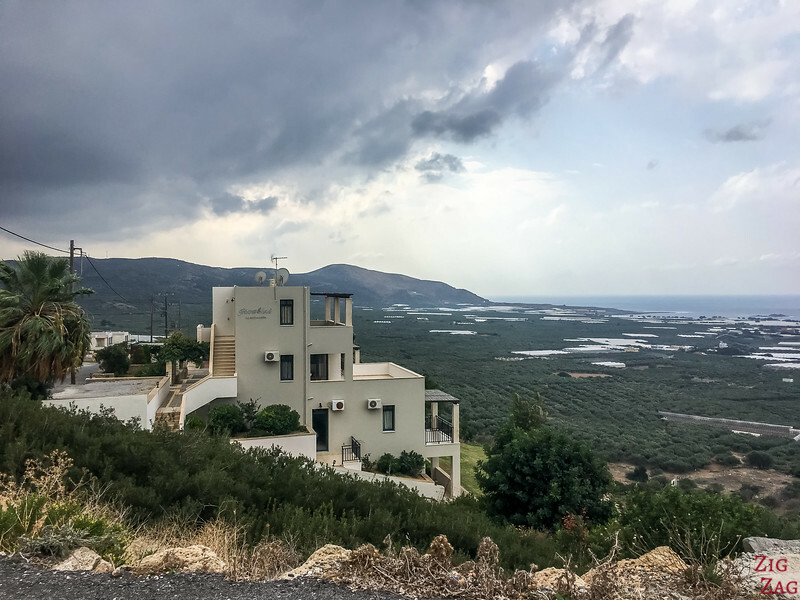 However, the sunset was early when I visited and I was coming from a big day tour to Balos beach, so I stayed near Kissamos instead (30min drive). Is it you type of beach?